"I am extremely pleased to be serving as chair of the IB Board of Governors," says Carol. "We have important work ahead of us at IB, at a time when students need more than ever to have access to high quality education to prepare them to understand and effectively respond to today's complex and challenging world." 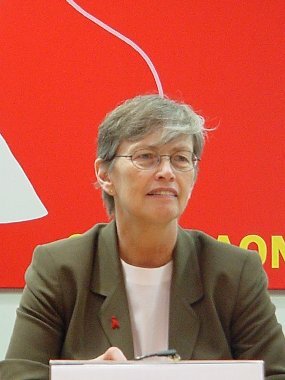 Carol Bellamy was the first returned Volunteer (Guatemala 1963–65) to be confirmed by the Senate as director of the Peace Corps. The International Baccalaureate (IB) announced today the appointment of Carol Bellamy as chair of the IB Board of Governors during the organization's Annual General Meeting in Geneva, Switzerland. The former executive director of UNICEF takes over from Monique Seefried, who has served in the position since 2003. After two five year terms as executive director of UNICEF, from 1995-2004, Carol was appointed president and CEO of non-profit organization World Learning, a developer of community-driven development programmes in more than 75 countries. Geneva, Switzerland, April 27, 2009 -- The International Baccalaureate (IB) announced today the appointment of Carol Bellamy as chair of the IB Board of Governors during the organization's Annual General Meeting taking place in Geneva, Switzerland. We have important work ahead of us at IB, at a time when students need more than ever to have access to high quality education to prepare them to understand and effectively respond to today's complex and challenging world. The former executive director of UNICEF takes over from Monique Seefried, who has served in the position since 2003. After two five year terms as executive director of UNICEF, from 1995-2004, Carol was appointed president and CEO of non-profit organization World Learning, a developer of community-driven development programmes in more than 75 countries. Since 2007, she has been chair of the Board of Directors of the Fair Labor Association, which promotes workers' rights internationally. "I am extremely pleased to be serving as chair of the IB Board of Governors," says Carol. "We have important work ahead of us at IB, at a time when students need more than ever to have access to high quality education to prepare them to understand and effectively respond to today's complex and challenging world." Born and raised in New York, USA, Carol was elected the first female president of New York City Council in 1978. She went on to work in leading roles in financial services at Bear Stearns and Morgan Stanley, and at law firm Cravath, Swaine & Moore, before another 'first' in 1993 when she became the first director of the US Peace Corps to have also been a Peace Corps volunteer. Jeffrey Beard, Director General, reports on the appointment, "The rising importance of education reflects the new demands of a new world. Students today need to demonstrate cross-disciplinary knowledge, communication skills, teamwork, analytical reasoning and real world problem-solving skills--skills that are at the core of IB programmes. Carol's appointment to the IB Board of Governors will support and strengthen our strategy of ensuring that an IB education becomes the key to young students' success as responsible citizens in the 21st century." Following her appointment as chair of the IB Board, Carol Bellamy addressed the annual Peterson Lecture, in memory of the IB's first director general Alec Peterson. Bellamy called upon governments and citizens around the world to do more to help children through concrete action, and reminded the audience of the logic of the demographics: "More than 80% of the world's population is in developing economies, and roughly half of these people are under the age of 18. In our global economy, a majority of a large multinational corporation's workforce will be located miles and several continents away from headquarters. 59% of revenues of the 40 largest multinationals will be earned abroad and 2/3 of sales will come from other than their country of origin. Bottom line: no one can afford to ignore education, health and wellbeing of any of the world's young." In reference to her new post, Bellamy highlighted the importance of the role of the IB in her lecture. "The IB offers something of a great power to the future of children around the world. It offers the chance for children to be problem solvers in their own communities, it offers children the tools and understanding they need in order to appreciate that as citizens of both their own country and the globe they can help to create a better world". Bellamy joins the IB following a year that marks a record number of schools offering IB programmes, with a total of 3,150 programmes being taught in 134 countries worldwide. 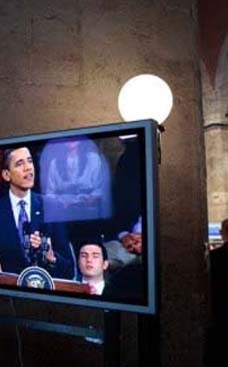 2008 saw an additional 401 programmes being authorized--the same number as the total programmes available in 1992. This annual increase of 13.5% is typical of the steady growth in IB programmes since the organization was founded in 1968. However, the organization hasn't been content to simply let the growth continue. Motivated by a mission to "encourage students across the world to become active, compassionate and lifelong learners who understand that other people, with their differences, can also be right," the IB has engaged with like-minded organizations to open access to IB programmes. Founded in 1968, the IB works with more than 2,500 schools in 134 countries to offer and develop its three challenging programmes to more than 700,000 students ranging in ages 3 to 19. The IB programmes provide an education that combines strong academic base, an emphasis on personal development and a global perspective. The IB encourages students to be active learners, well-rounded individuals and engaged world citizens.